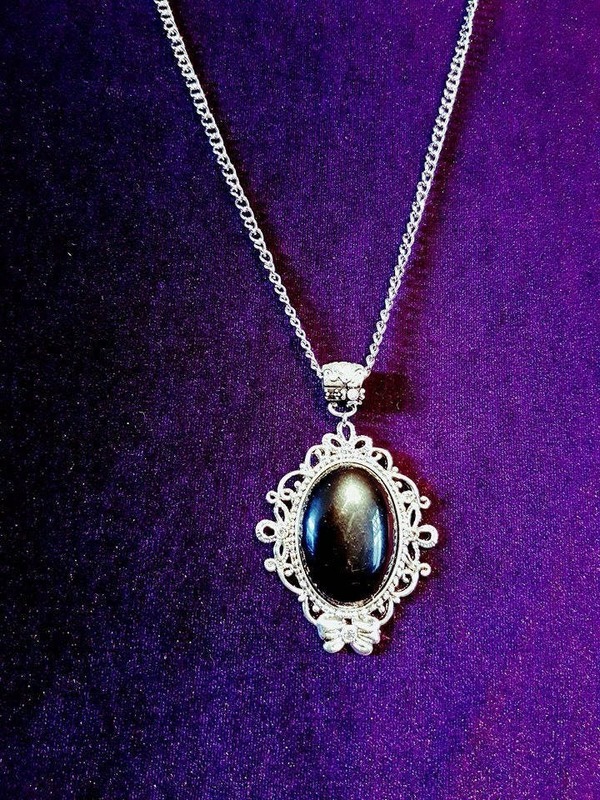 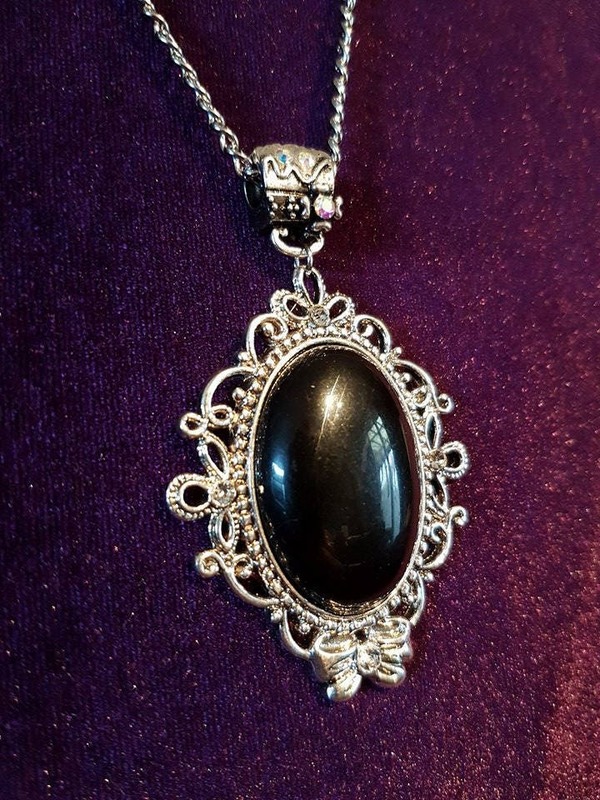 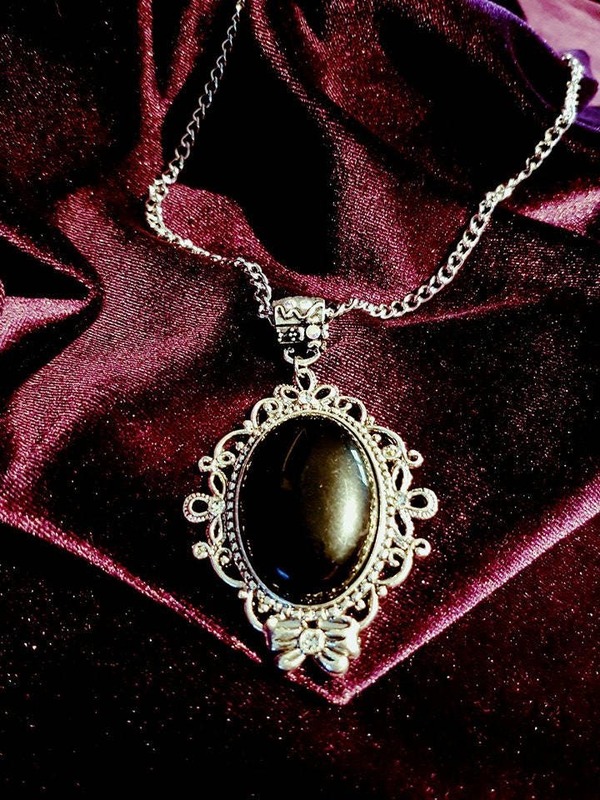 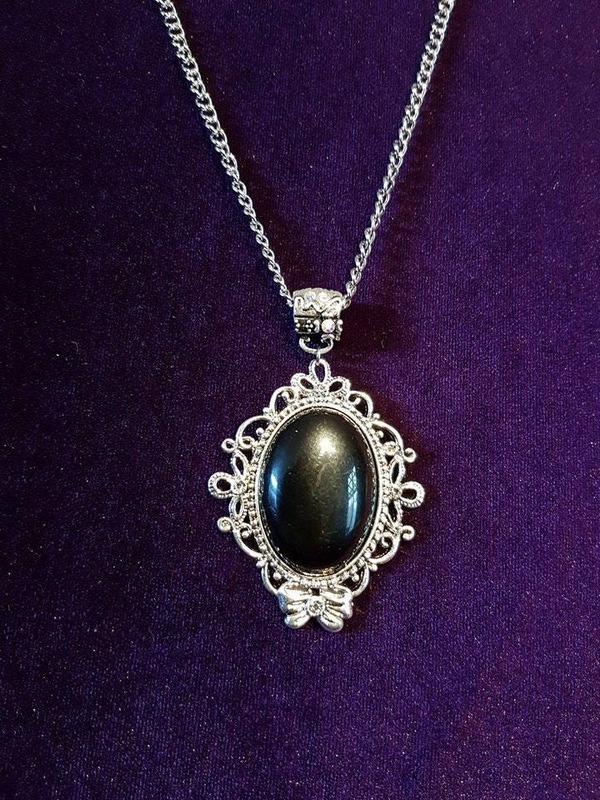 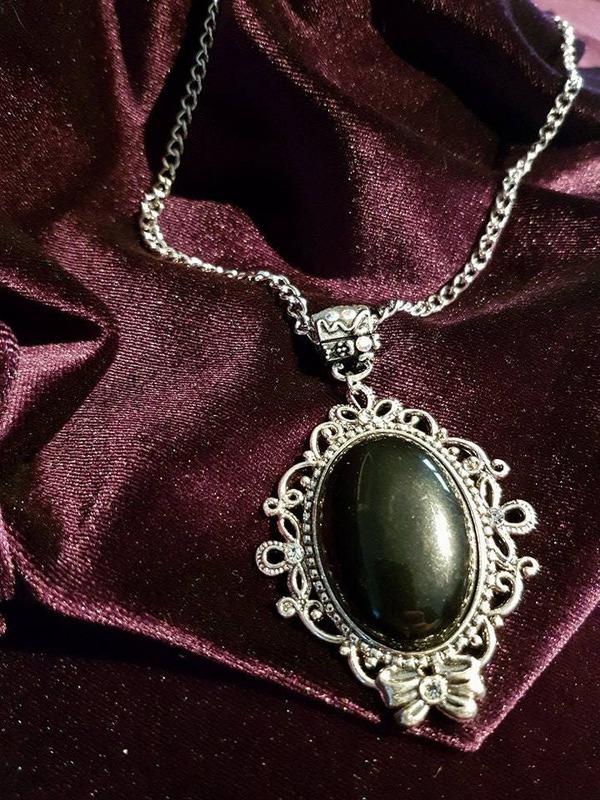 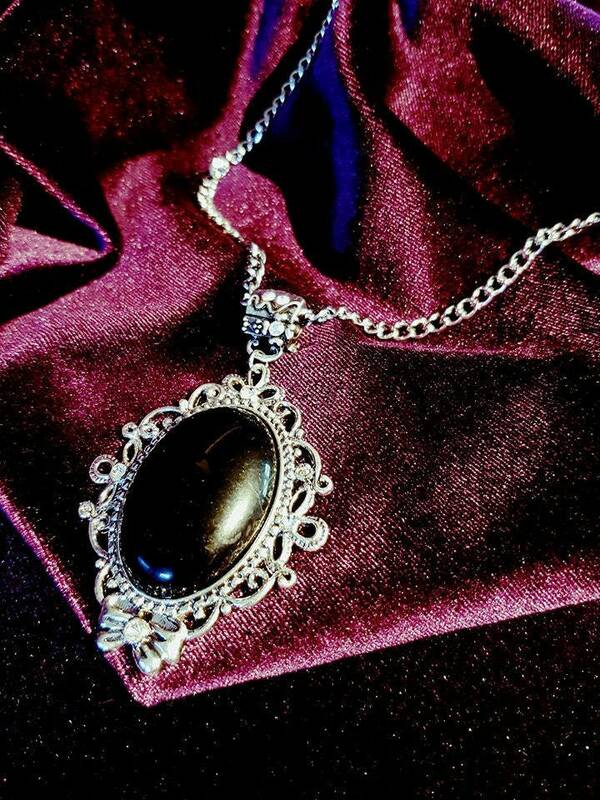 Beautiful gothic cameo with black stone and rhinestones. 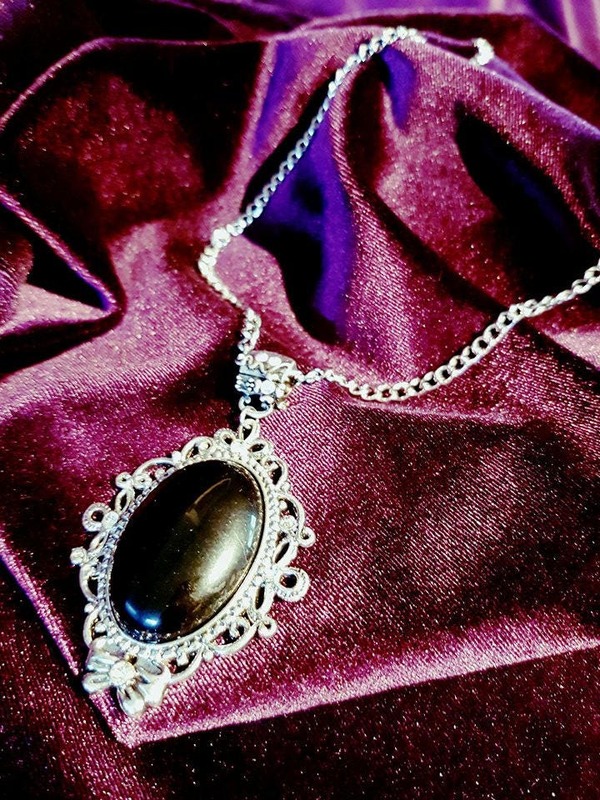 Bail is a handbag with overall rhinestones. 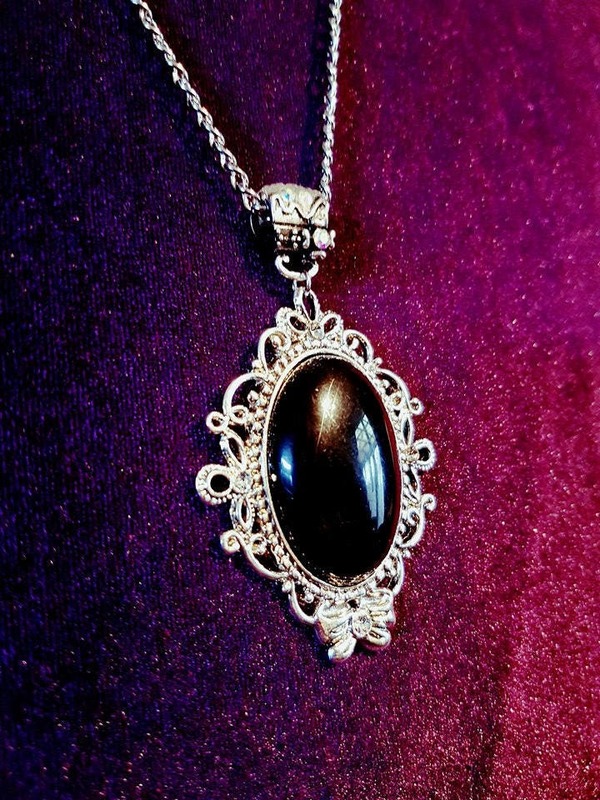 Silver colour chain and cameo.